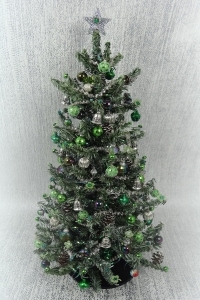 Realistic One of a Kind 9" Luxury Irish Blue Spruce Christmas Tree, in hues of green and silver. 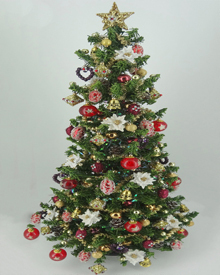 This fabulous 12th scale Christmas tree is adorned with hundreds of handmade ornaments that sway upon the slightest movement. 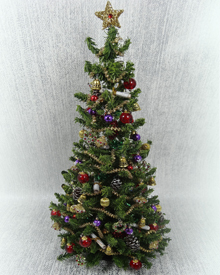 To name but a few: Silver bells, silver plated baubles, green frosted baubles,green decorated cowbells, frosted pine cones, jewelled shamrocks, silver plated garland and topped off with a twinkly silver star. 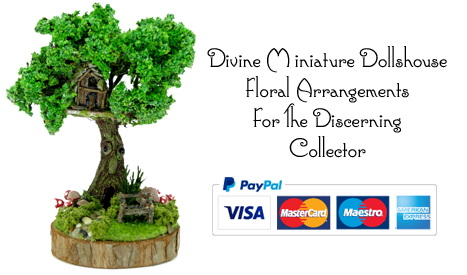 Height approx: 9" x 4.5"